I have had the privilege of living just over seven decades. I once penned a reflection entitled, Beyond Halfway. In it I wrote, “Beyond halfway, I have seen changes in the culture. Cultural icons and social trendsetters cease to exist. No more Walt Disney, no more Mr. Rogers, no more Elvis, no more Ronald Reagan, no more Mickey Mantle, no more Bob Hope and the list goes on and on.” And now …no more Billy Graham. I believe that Billy Graham was a humble man. He thought rightly about himself. He knew he was a sinner in need of a Savior. He knew he needed constant repentance in his life. He knew he made mistakes and was quick to admit them and ask for forgiveness. And, for a man of his stature, he had a relatively simple funeral and was buried in the $200 casket according to Too Jared from a Nairobian News Outlet (Dr. Graham impacted the world). 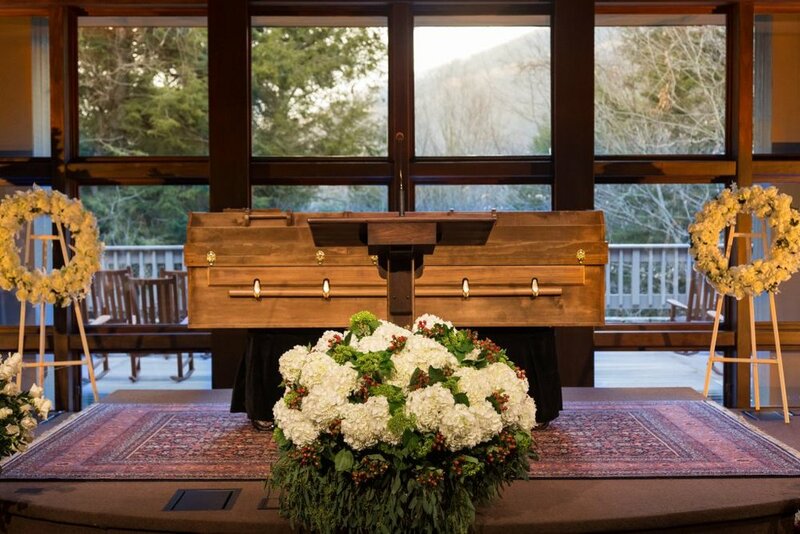 It seemed fitting to me that Billy Graham’ son, Franklin, chose a humble casket for his father. Franklin Graham knew his father as well as anyone and chose a casket that was symbolically fitting for his dad. Too Jared reported that according to his son Franklin Graham, the casket was “handmade by a convicted murderer named “Grasshopper” at Angola Prison in Louisiana.” Franklin revealed that the casket was lined with a white mattress pad and had a wooden cross nailed on top and cost $200. CNN reported that… Franklin was impressed by its simplicity and natural beauty when he visited the Louisiana State Penitentiary in 2005. It added that the convict who made the casket died in 2007 but remarkably stated that Graham deserved a simple casket to capture his simple message that reached millions across the world. "Billy Graham is a simple man who preached a simple message. He must be buried in a simple casket," “Grasshopper” was quoted as saying. Here’s a link to a short video about the making of these caskets. It’s worth seeing. Interesting enough, my wife has always said that she wanted to be buried in an inexpensive casket made of plywood and covered by felt fabric. I always told her that I would say yes to her request then bury her in a normal casket (assuming no cremation), because the type of casket impacts the living, not the dead. I have just reconsidered her request. The man I admired the most in my lifetime was buried in a simple $200 casket. And you know what? His funeral and casket represented a part of who he was and why I admired him. For more about the casket, go to the Billy Graham Evangelistic Associations here.